Sunrise Beach is peaceful and relaxed, yet a short walk away to shopping, restaurants and nightlife. 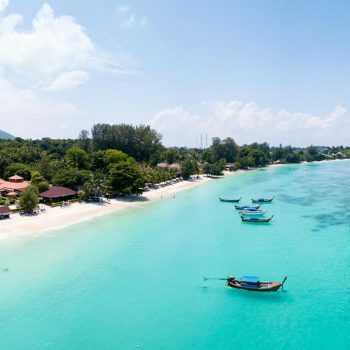 The northern tip of the beach is close to Koh Adang, part of the National Park. The sand bar here changes with the seasons, facing Koh Adang in high season and Koh Tarutao in low season. Walking south, you will pass the local school and a small Chao Ley Village. 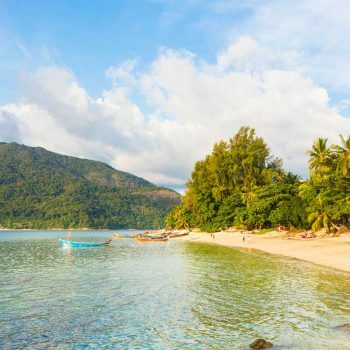 The Malaysian Island of Langkawi is visible on a clear day from the southern end of the beach. Evenings are pretty quiet on Sunrise beach. A few restaurants and bars remain open but most of the action is a short walk away. Phosphorescent is often visible at night, magically lighting up the shoreline. 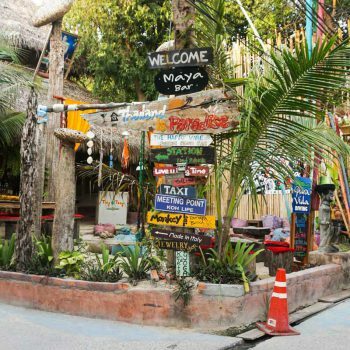 Most of Lipe’s upmarket hotels are found on this side of the island, spread out to give the feeling of isolation. A few budget options do remain however. Most restaurants are attached to hotels, though a few small eateries are located close to the entrance of Walking Street.